Egg Song Farm Tours! Book an Appointment! Equine Life Solutions (ELS Stables) is a premiere equestrian riding center residing at beautiful Holly Farm in Bothell, Washington. We are conveniently located just 40 minutes from downtown Seattle, and 30 minutes from Bellevue off Hwy 405. So come and enjoy a truly “stable” community. Check us out and find out why ELS Stables is the best possible “Herd” of humans and horses around! Through groundwork, riding lessons, special events and straight up play, our students and horses gain confidence in themselves and each other. Whether you are new to horses or an experienced rider, fearful or confident, ELS has a variety of classes and programs to meet your needs. 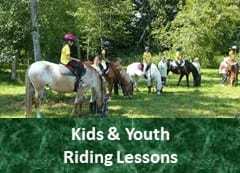 Explore our site to learn about our drama-free facility and lesson programs utilizing Natural Horsemanship techniques. And please call or email for more information or to arrange a visit. For the safety of our animals and students, dogs must be kept in the car or walked in designated areas. Just ask us before taking your pet out of the car. Thank You!